The main dining room was erected in 1938 and at that time the business was run by Fred Bradley. It was the Gypsy Tavern and advertised in the local paper as the House of Sandwiches. Fred Bradley died in 1939, and Minnie ran the business until it was acquired by Docker. 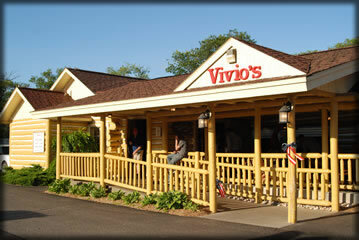 Then Quick's bought it from Docker's, and Vivio's purchased it from Quick's. John and Theresa Vivio started the Italian cuisine and upon their sale of the restaurant to Middleton's in 1973, it has remained the same cuisine and atmosphere henceforth. We are still in the same building and proud of it!